Most OEMs don't have much of a reputation for providing timely and consistent OS updates. There are a few exceptions here and there — LG's V20 is set to become the first non-Nexus smartphone to launch with Nougat sometime around September — but while there may be a growing trend for devices to receive major updates shortly after they're released, it is much rarer to see them getting software support for more than a year or so. Only last year did Google begin promising 3 years of security updates and 2 years of major OS updates for all Nexus phones and tablets — which is still almost half as long as an iPhone's lifecycle. The corporate half of the Cyanogen world might have seen better days, but the community-developer ROM is still going strong. They've recently released the CyanogenMod ROM to two new devices. The Huawei Honor 5X and ASUS ZenPad 8.0 have all been given initial nightly builds of CM 13 (based on Android 6.0 code), available to download and flash now. The 5.5-inch Huawei Honor 5X Marshmallow update is finally rolling out, solving one of the major issues we had with this device in our original review. With only 16GB of on-board storage (which we figured closer to 8GB after counting the OS and bloatware), Android 6.0 Marshmallow's SD card capabilities make this a much more attractive offering, especially considering the price! We saw the 5X on eBay for $159.99 back in March, but this is by far the best deal yet: $119.99 on Amazon for an unlocked device that will work on AT&T and T-Mobile in the US. See that green bugdroid above? It's carrying a heavy(ly customized) version of Marshmallow specially to your Huawei Honor 5X. Wrapped tightly with it is a new version of EMUI for the device: 4.0. In terms of Marshmallow, you should expect the usual features that we've been talking about for nearly a year now: Now on Tap (which is getting more useful with time), Doze mode for better battery optimization while idle, better volume controls, a new open apps menu, and more. As for EMUI 4.0, it brings a few interesting modifications. There's motion control to launch different apps or perform some actions while the screen is off (draw M to launch the music player, double tap to wake, etc), a personalized navigation bar with a notification drop-down shortcut à la LG, one-handed mode, different drag locations to drop the notification shade or the toggle shortcuts, and a few more. The Huawei Honor 5X is the kind of phone that leaves buyers wondering why people are willing to pay so much for other devices. $200 gets you a 5.5-inch 1080p display, Snapdragon 616 processor, 2GB of RAM, 16GB of storage (plus a microSD slot), a 13MP camera, a metal body, and a fingerprint sensor. 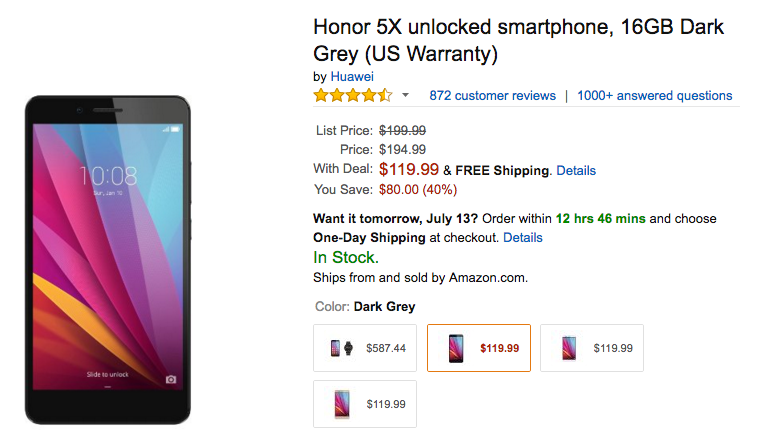 The Honor 5X is already a pretty fantastic deal at $200 for an unlocked phone (even if David's review was more or less "you get what you pay for"). But if you're looking to sweeten the deal even further, online retailer Newegg is offering an additional $25 via a store gift card with the purchase of the phone. The offer is available for a limited time, but it's valid on all three colors (black, white, gold) and combines with free shipping. The gift card is added to your cart at the same time as the phone, and users can use the code themselves or give it away (if you have a friend who likes to build PCs, it would make a nice gift). 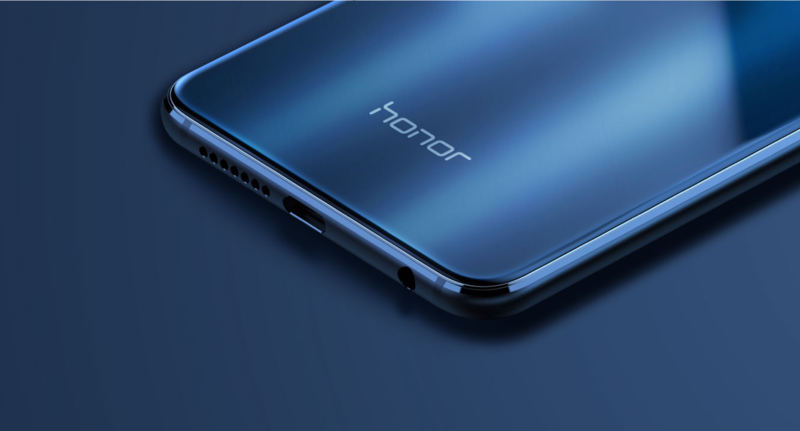 Huawei's latest attempt to break into the US market comes by way of the Honor smartphone brand, specifically the Honor 5X. David thought it was pretty good for $200, and now you're mere days away from coming to your own conclusion. 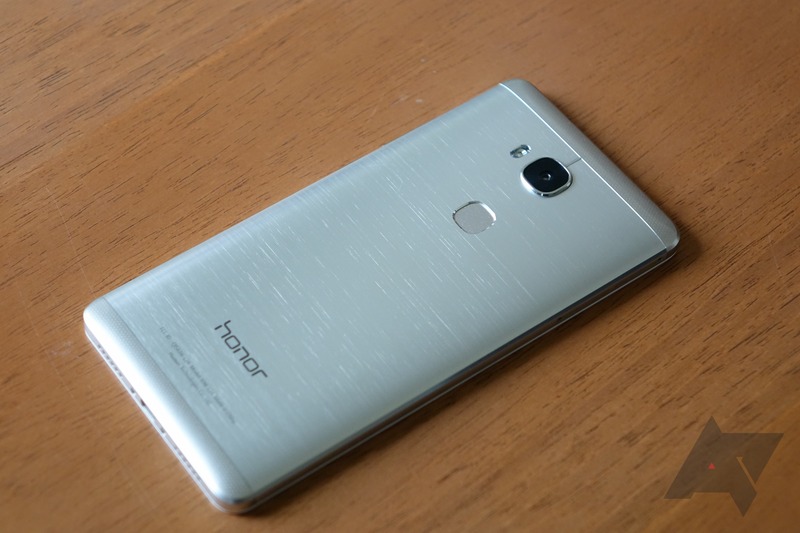 The Honor 5X goes on sale January 31st (Sunday) for $200. 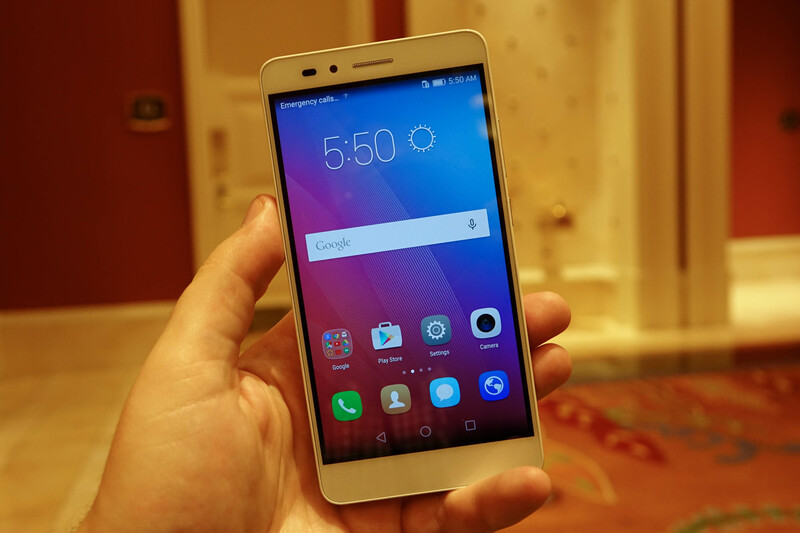 The Huawei Honor 5X is a paradox for Android enthusiasts right out of the box. It costs just $199. But it runs Android 5.1. It has a surprisingly decent camera. But it doesn't support band 12 LTE on T-Mobile. The 1080p IPS display is very bright and may well be class-leading at this price point. But the Honor 5X doesn't have NFC. Its fingerprint reader pretty much lets it stand alone in the market for sub-$200 devices. But so does Huawei's software layer, and not in a good way. It has a microSD card slot. But it's only available with 16GB of storage, and no Marshmallow means no adoptable SD cards. The Huawei Honor 5X's sales pitch isn't complicated, and it doesn't have to be: $199 gets you a metal-body smartphone with a fingeprint scanner, LTE, and a 5.5" 1080p display. There's no uninstallable 3rd party bloat (Twitter, Facebook, FaceTune, and Shazam can all be removed), and while it does run Android 5.1.1 with Huawei's lamentable custom UI layer, the price really does make this easier to ignore. 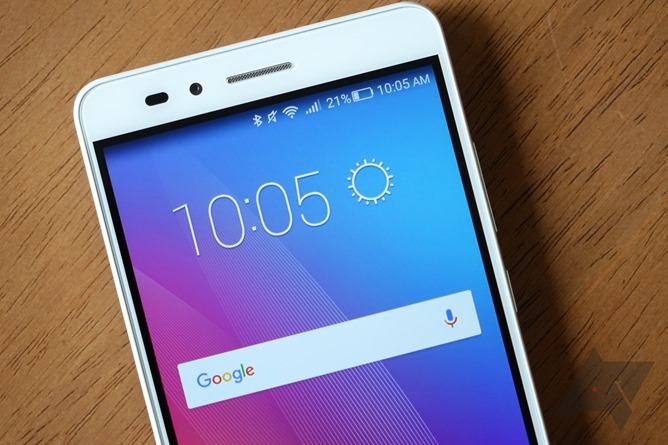 Is the Honor 5X the perfect smartphone for the Android enthusiast on a budget? Probably not, if I'm honest, unless you're willing to hold out for the possibility that a robust custom ROM community emerges after the handset's launch.